You scroll through Instagram and gaze longingly at the abundance of beautiful women on your feed. They have perfectly perky bums, flawlessly made up faces and sleekly styled haircuts which you could only dream to have one day. We are all looking for ways to look beautiful and younger, but we need to stop obsessing over people who are airbrushed to the max and nipped and tucked all over. You are a real woman with a sparky personality and huge ambitions in life; you need to start loving yourself as you are in order to get to where you want to be. Take note of these hints and sharpen up your daily routines so that you can become a new and positive you. You often tell yourself that a beautiful person is one who looks pristinely put together from the outside. The truth is that you need to feel healthy on the inside in order to exude the air of confidence you’re looking for. The reason your hair is looking dull and lifeless might not be due to your hair products, but the food you’re choosing to eat. Skipping breakfast and indulging in fatty and sugar laden snacks is not going to help you achieve the filtered glow you desire. Not only should you go here for some amazing hairstyle tips to upgrade your look, but you should also incorporate plenty of hair loving nourishments into your diet. Foods such as eggs, avocado, spinach, nuts, seeds and citrus fruits will help your hair to grow longer and stronger. You will soon be able to pull off any hairstyle as long as you are looking after your body from the inside. Your wardrobe isn’t spilling out with designer labels or the latest trends, but you do know what to wear in order to accentuate your body type. You can dress impeccably whilst on a shoestring budget so don’t let your money worries get in the way of sharpening up your style. Start by throwing out any clothes which don’t fit you or no longer suit your personal style. Sell them online and make a little pot of money to spend on your new trendy threads; make sure you hold onto timeless basics suit as skinny jeans, little black dresses and plain vest tops. Treat yourself to a new pair of chic black boots, which will be guaranteed to transform any outfit you throw on for the day. Use accessories to liven up your plain clothing and strut down the street as if you were a Victoria’s Secret model. The tiny touches to your appearance can transform you from weary to wonderful in a few quick minutes. Perhaps you tend to bite your nails and manicures have never been your thing. Try to focus on strengthening your nails and paint them your favourite color each week. These small tweaks can make you appear more put together and will improve your confidence levels. If you’re prone to stepping out of the house with a bare face, then hats off to you for pulling off the natural look! 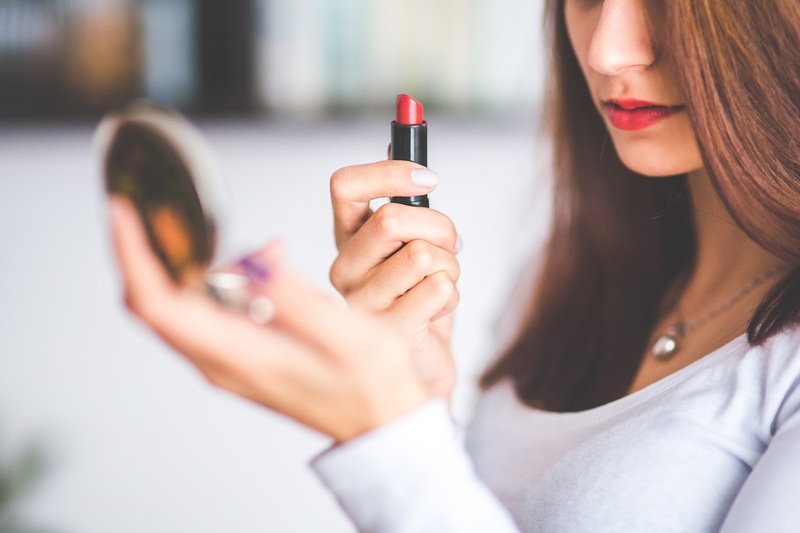 Next time you’re heading out consider sweeping on a bright lipstick color or try out a glittery highlighter to enhance your cheekbones. A little extra touch to your make up can bring out your inner poise instantly. You might think that your morning cup of coffee is all you need to wake up every morning, but the truth is you need to get adequate sleep every evening in order to function every day. If you’re waking up bleary eyed and groggy every morning, it might be due to a lack of sleep. There are many things you can do to improve your snoozing, from the comfort of your bed to avoiding certain foods and drinks late at night. Another method which is proven to assist your sleep pattern is taking part in regular exercise. If you have a phobia of the gym there is no need to enter a state of panic; you can exercise from the comfort of your own home and still notice results. Follow some tutorials online or download a useful fitness app, which will help you to de-stress, move your body and sleep better at night. Soon people will start envying you and your new positive persona; wave goodbye to the days of lusting after your girl crushes on Instagram. Be your own girl crush, go out into the big wide world and start loving yourself from head to toe. Tips on Dating a Latino Woman for the first time!